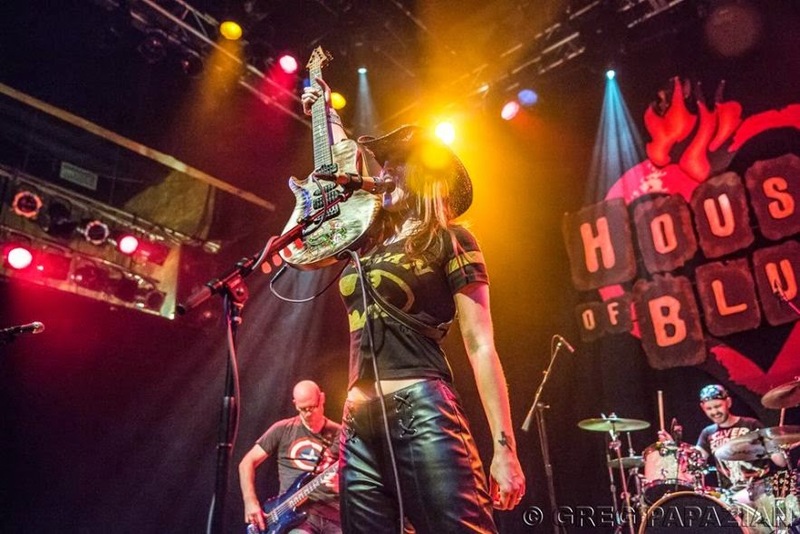 Outlaw Southern Rocker, Music Producer and Lefty Female Guitarist Glitter Rose performs for the 7th consecutive year at the Dallas International Guitar Festival and seeks fresh companies interested in sponsoring her performance. April 28, 2015 - DALLAS, TX -- The respectfully ostentatious Outlaw Southern Rocker herself, Glitter Rose, has been chosen yet again to perform at the largest guitar festival in the world, the 38th Annual Dallas International Guitar Festival. Glitter Rose, also known as GR, has been a hot commodity with DIGF for the past 7 years, being one of the show’s most anticipated independent artists and female guitarists. With her 12 endorsement deals, including Gibson Brands, Orange Amplifiers, Telefunken Elektroakustik, and Fishman Acoustic to name a few, her presence at the show is large. Originally from Ft. Worth, TX, DIGF is quite the homecoming for GR each year. GR is now based in Los Angeles, CA where she is currently in production of her new album “Outlaw In Love”, and developing young alternative and pop artists to produce in the Summer and Fall months. Her calendar this year has been steady with traveling dates, including Santa Rosa, CA for an appearance with music legends Stu Hamm, Mitch Forman, and Kim SeHwang for EMG TV, a headlining spot at the Modesto Unplugged Music Festival, and an upcoming appearance on Chicago Acoustic Underground while attending the Chicago International Movies and Music Festival, in support of the feature film American Girl, which GR wrote and performed the title track, made a cameo in the film and was an associate producer. Dallas will be her destination in May 2015 for the 38th Annual DIGF and sponsorship opportunities are available for businesses interested. DIGF hosts over 50,000 attendees in the 3 day festival of guitar heaven. Vendors like Gibson Brands, Fender, Gretch Guitars, Marshall Amplification, Guitar Center, Blackstar, VOX, Dean Guitars, SKB, Taylor Guitars, and more gather with their best products, and guitar enthusiasts get the opportunity to mingle and hang with some of music’s most legendary guitarists, including George Lynch, Gary Hoey, Rick Derringer, Johnny Highland and past shows have hosted headliners like Ted Nugent and Johnny Winter. DIGF is one of the largest trade shows of the year in the Dallas/Fort Worth Metroplex and receives a massive amount of press coverage in radio, television, and print.